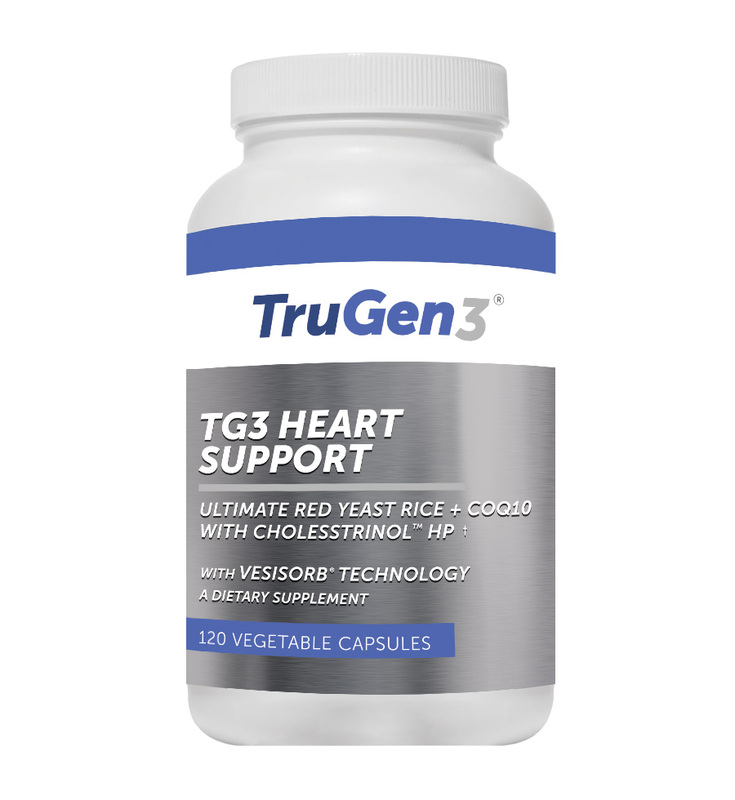 TruEase®, provided by TruGen3®, supplies 334 mg of phytocannibinoid-rich hemp oil, specially formulated with the superior VESIsorb® colloidal delivery system and designed to provide optimal absorption of the fatsoluble constituents found in hemp oil. This product is tested to ensure THC/THCa levels are not detectable. Hemp oil, derived from the seeds of the plant Cannabis sativa, has increasingly received a great deal of attention for its beneficial uses in the body. While the plant it is derived from has a controversial history, the hempseed oil used in TruEase® is specifically made from seeds that do not contain significant amounts of the psychoactive compounds that can be found in certain strains of Cannabis sativa. 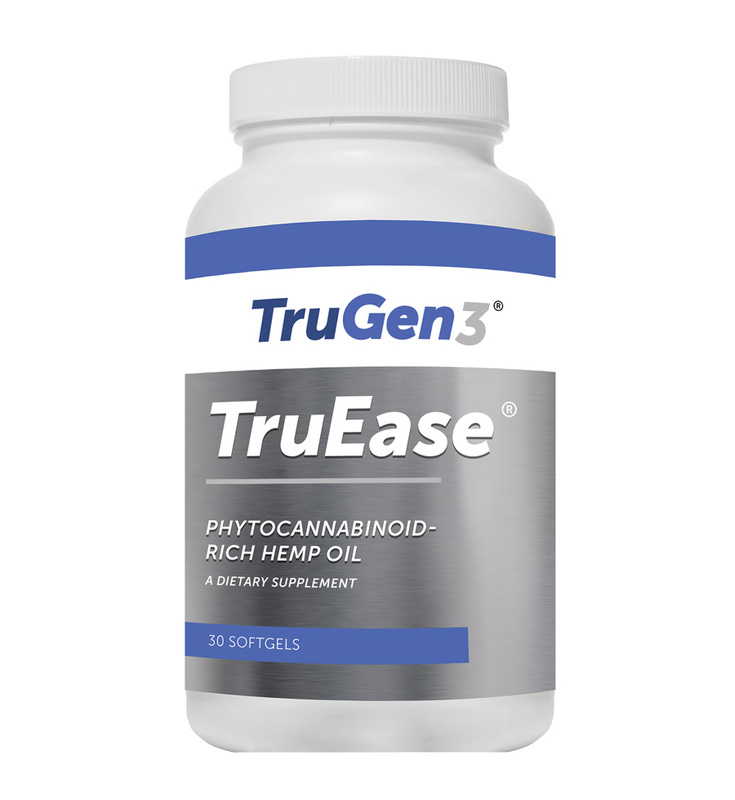 TruEase® is unique among other hemp seed oil extracts in that there is full traceability from seed to consumer, using non GMO hemp cultivars. Additionally, a proprietary simulated moving bed liquid chromatography extraction of the hemp seed oil ensures purity and safety from unwanted solvents and psychoactive components. Hempseed oil is rich in several essential fatty acids including the omega-6 fatty acids linoleic acid and gamma linolenic acid, as well as omega-3 fatty acids alpha linolenic acid and stearidonic acid. 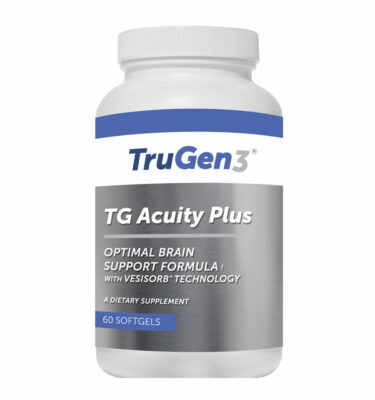 These essential fatty acids have been studied extensively for the important roles they play supporting optimal skin, heart and neurological health. Additionally, hempseed oil is increasingly being used in a variety of foods, beverages and skincare products, as consumers understand that it offers a unique alternative to more traditional oil sources. In addition to providing essential fatty acids, certain types of hemp oil extracts contain supportive amounts of phytocannibinoids and terpenes. Phytocannibinoids are active constituents of Cannabis sativa that are being studied extensively for the important roles they can play in maintaining the body’s normal function, including the optimal regulation of the newly discovered endocannabinoid system. The endocannabinoid system consists of endocannibinoids, natural biochemicals that the body manufactures and the receptors they stimulate. The endocannabinoid system has a network of receptors including CB1 (primarily in the brain) and CB2 (primarily in the immune system and peripheral tissues) that respond to the body’s own production of cannabinoids. Endocannabinoids and their receptors are found throughout the body including in the brain, organs, connective tissues, glands, and immune cells. Endocannibinoids are produced in nearly every animal except for insects. Recent studies performed over the last 3 decades have shown that the endocannibinoid system has an extensive influence on the entire body. Cannabinoid receptors in the endocannabinoid system act in many ways to maintain a healthy body including regulating normal motor function, normal response to nerve stimuli, memory, immune response, digestion, bone growth, as well as to help protect skin and brain cells. Due to its regulatory role in the body, the endocannabinoid system can play an adaptogenic role to help keep the body in homeostasis and balance. Among other things, stress, aging, and poor diet can imbalance the normal production of endocannabinoids. There are over 80 phytocannabinoids that have been identified that can play supportive roles in supporting the body’s optimal balance. Hemp oil rich in phytocannibinoids can provide a unique way to support the body’s healthy regulation of the endocannabinoid system. However, since phytocannibinoids are insoluble in water, their absorption can be limited in the body. Studies show that the VESIsorb® patented delivery system provides significant improvements in absorption and bioavailability of phytocannibinoids. VESIsorb® technology provides lymphatic absorption pathway advantages over standard gastrointestinal absorption. Unlike other commercially available products, VESIsorb® technology allows the lipid-based, natural, hemp oil product to be delivered in a water soluble form with no loss in bio-efficacy or absorption. The patented VESIsorb® delivery system is a naturally selfassembling colloidal droplet delivery system that has been clinically proven to increase absorption of nutritional supplements. VESIsorb® naturally self assembles into a colloidal system immediately upon contact with the aqueous environment of the digestive tract. The solubilized nanosize droplets are able to disperse uniformly and diffuse across the unstirred water layer and then transfer the bioactives to the intestinal lymphatic system. Thus, TruEase® provides unmatched advantages over other hemp seed oils on the market. As a dietary supplement, adults take 1 softgel daily or as directed by your healthcare professional. Di Marzo V, Piscitelli F. The Endocannabinoid System and its Modulation by Phytocannabinoids. Neurotherapeutics. 2015 Oct; 12(4): 692-8. Fernández-Ruiz J, Moro MA, Martínez-Orgado J. Cannabinoids. From Preclinical Models to Clinical Applications. Neurotherapeutics. 2015 Oct; 12(4): 793-806. Bow EW, Rimoldi JM. The Structure-Function Relationships of Classical Cannabinoids: CB1/CB2 Modulation. Perspect Medicin Chem. 2016 Jun 28; 8:17-39. Micelles are composed of a surfactant or surfactant mixture and the active substance to be solubilized within the center of the micelle. A micelle is like an aggregate of surfactant molecules dispersed in a liquid solution. A surfactant molecule has a hydrophilic part – called “head” – and a hydrophobic part – called “tail”. 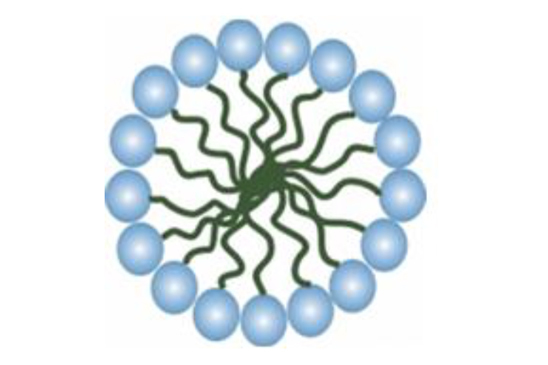 A typical micelle in an aqueous solution forms an aggregate with the hydrophilic “head” regions in contact with surrounding water (solvent), sequestering the hydrophobic tail regions in the micelle center. In this “hydrophobic tail center,” the active substance is dissolved. A “classical” micelle system does not contain oil and is a surfactant-rich system. If a micelle contains small amounts of oil, they are called “swollen” micelles. Like micelles, VESIsorb® is an aqueous dispersion. However, the dispersed phase is composed of both surfactant AND oil and belongs, therefore, to the systemic group of micro-emulsions. 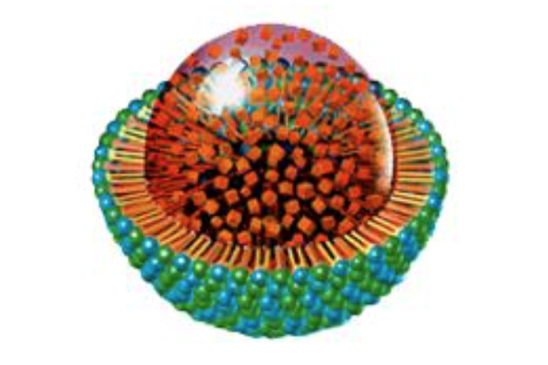 The dispersed phase of VESIsorb® can be envisioned as nano-droplets composed of an oily core (triglycerides/orange oil/CoQ10) surrounded by a hydrophilic shell (polysorbate/polyglycerol esters). Compared to a micellar system, the VESIsorb® contains lower amounts of surfactant (which is highly desirable) and high amounts of oil (lipophilic core/center where the active substance is dissolved). Micro-emulsions acting like real solutions are in a thermodynamic equilibrium and thus, cannot be accountable to the classical image of an emulsion. It is a “colloidal” solution with extremely tiny (< 100nm), highly flexible associates. 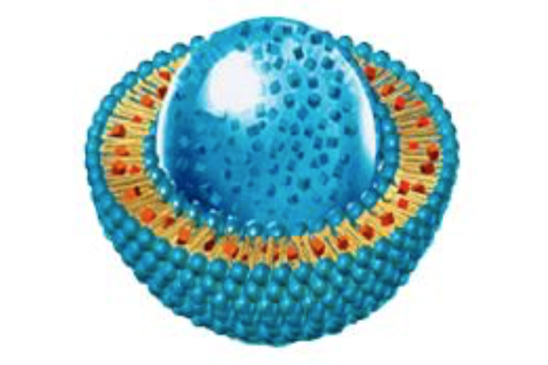 Liposomes are vesicles and composed of a phospholipid bi-layer membrane surrounding an aqueous core. Fat-soluble active substances can only be solubilized within the bi-layer membrane, thus the loading capacity is limited and lower compared to VESIsorb®. The scientific evidence is compelling! The peer-reviewed journal, Alternative Therapies in Health and Medicine, recently published the results of a double-blind study comparing the bioavailability of patented CoQsource Bio-Enhanced CoQ10 to that of other bio-enhanced formulations. The study, entitled, “Relative Bioavailability Comparison of Different Coenzyme Q10 Formulations with a Novel Delivery System,” appears in the March/April, 2009 issue, Volume 15, Number 2. 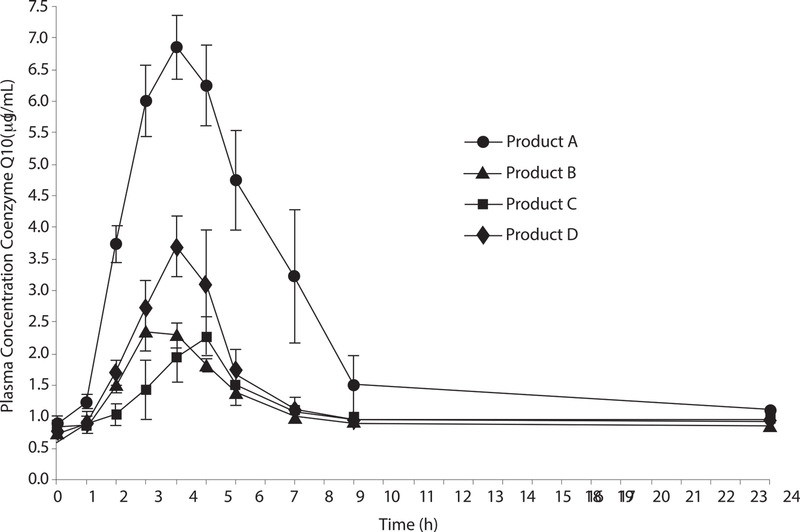 The graph shows a pharmacokinetic study (single oral dose, crossover) in humans comparing VESIsorb® CoQsource® to the same standard Coenzyme Q10 in different formulation demonstrating an increase of absorption in peak blood levels. The relative bioavialiability of a single oral dose of 120mg of CoQ10 was asserted using the AUC. The results showed 622% higher bioavialiability than the oil-based formula and 499% higher bioavialiability than the solubilizate. The single oral 120 mg does of the VESIorb® – CoQ10 resulted in a peak plasma level of 6.89 μg/mL compared to 2.24 &mu;g/mL achieved with 120 mg of an oil-based formula. Analysis of the area under the curve revealed the relative bioavailability of VESIsorb® – CoQ10 was up to 622% compared to the other formulations studied.